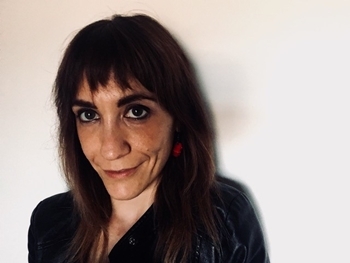 Chiara Organtini is an italian curator and project creator passionate about art and public space: from site specific outdoor interventions, digital experiments or participatory works that question traditional genres and the boundary of spectatorship. Since 2009 she is part of Indisciplinarte, a creative enterprise engaged in artistic processes and territorial development: conceiving art as a trigger for change, they manage CAOS Centro Arti Opificio Siri, a 6,000 square meters multidisciplinary hub born on the ashes of a former factory in the post-industrial city of Terni. Following the same idea of creativity as change generator, she is co-curating Terni international performing arts festival, an interdisciplinary festival born in close connection with the city transition: beyond a showcase, it is a creative common environment for artists, audiences and curators to develop ideas together and enact thoughts. For her focus on participatory practices and engagement, she is part of the network Citizenslab and has contributed to the ReCcord action research project with Aarhus University and to ADESTE European project on audience development. For her passion for the digital world, she is investigating the possible bridge within arts and technology within Museomix global community and the GIFT project.